Advanced poses, advanced sequencing in 21st Century yoga! This 18 hr/3 Day Training takes the YTU Integrated approach to the shoulders, arms, elbows, hands and wrists. Students are guided through a variety of hands-on adjustments, assessment strategies and injury scenarios to improve their teaching for this body region. The 50hr Yin Yoga Teacher Training: Traditional Chinese Medicine Module is a comprehensive training developed for serious students and teachers interested in learning the core energetic aspects of the practice of Yin Yoga. 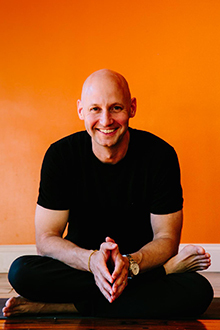 This comprehensive 16 hr/2.5 day training takes the YTU approach to improve a students’ retention of the clinical language of anatomical structures, physiological processes, movement patterns, and pathologies as they relate to yoga. Next Group Begins June 2019! This training will focus primarily on the skills you need to get in front of a room and inspire a class to move through a safe and effective Hatha Yoga sequence (mixed-level and vinyasa). 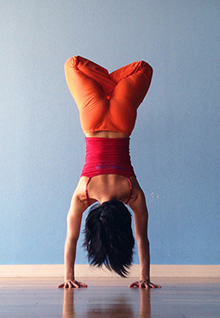 Completion of this training fulfills the requirements for the Yoga Alliance RYT 200. This 18 hr/3 Day Training focuses on the integrated anatomy of the hips, legs, knees ankles and feet. Students are guided through a variety of hands-on adjustments, new assessment strategies, injury scenarios to improving their teaching of this body region. November 4th - 11th, 2019 dates coming soon! This 24 hr/4 Day training focuses on integrating core work into a practice. Students explore the key structures that mobilize and stabilize the spine and are introduced to several core-related pranayama techniques to directly experience the diaphragm.